The Apache Tomcat manager web application provides a convenient interface that lists deployed web applications. 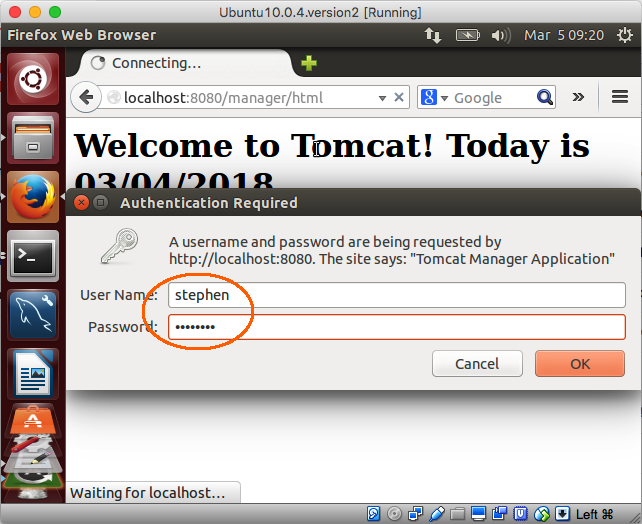 You'll need to create credentials to access the Tomcat manager. The instructions for setting up a user name and password were contained in Steps 2, 3, and 4 in the topic . You will need to restart the Tomcat server after completing the steps in that topic. 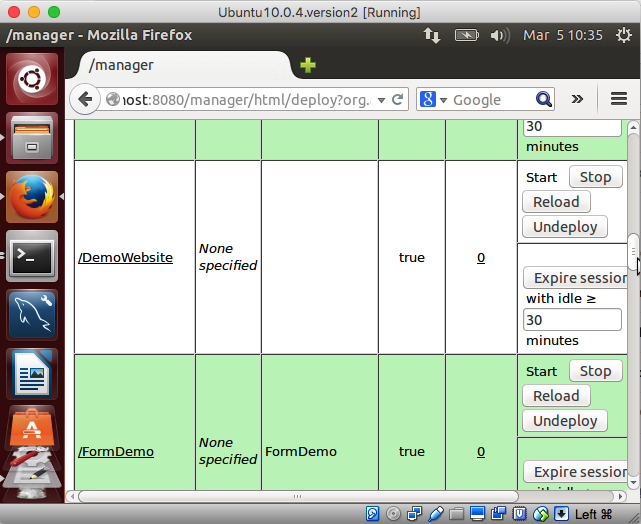 Note that each application has an associated set of buttons that allows you to start and stop the web application. In addition, you can reload the JAR files and classes, as well as undeploy the application (**Note: the undeploy operation will delete the WAR file and unpacked folder under the "webapps" folder or delete the context file under CATALINA_BASE/conf/Catalina/host_name, e.g., /var/lib/tomcat7/conf/Catalina/localhost).